The process of bono waves is actually a scientific process as one of the rare natural phenomenon that occurs at the border of the mouth of the river and the sea. 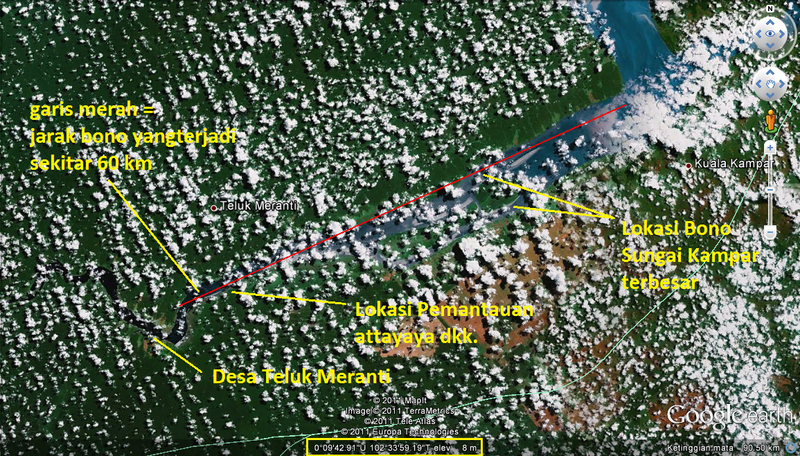 Bono that is happening in Kampar River Riau is also one of the rare natural phenomenons. There are many observations made to look closely at how the wave is actually the largest bono wave in the world could happen. The process of bono wave in Kampar River Riau, Indonesia can be viewed from two sides, the first is a scientific context and the second came from a fairy tale or folklore around. The second process is to be one part of the cultural wealth of the Malay community that has a belief in its own aligned with the occurrence of the wave that became the dream of every surfer in the world. Before the occurrence of the bono wave, it is usually started by the sound of whistling, and then will hear a roar of water. The roar will grow louder and louder and it will appear the one big wave called as the bono wave. The speed of the bono wave can reach 40 km/h. The waves are able to enter the river upstream for kilometers away. 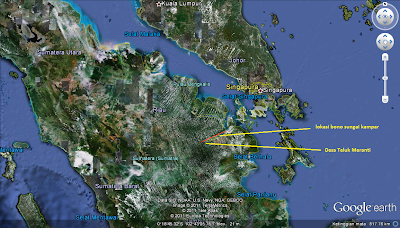 Even, water waves can reach a distance of about 60 km upstream and will end in Tanjung Pungai. The number of bono wave is pretty much and hand in hand. Sometimes, they are on the edge of the river and sometimes can also occur in the middle of the river. The biggest bono will usually occur when the rainy season arrives, when the water discharge of Kampar River will rise. In the account of months usually will occur in November and December. Bono waves that exist in Kampar River will usually occur during high tides happen at the sea. The tide will go through to Kampar River. 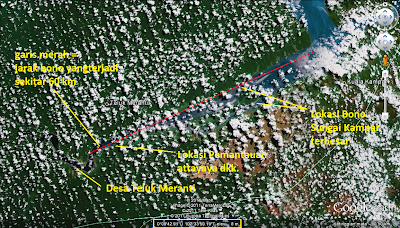 Furthermore the speed of currents in Kampar River will have a collision with the rising tide of the sea so that there was a wave called ‘bono wave’. Bono will only arise if the water gets high tides; the greater tide occurs at sea, so the chances to occur the bono wave will be greater. The rain factors that will also increase the discharge of river water will affect the amount of the bono wave formed. Bono waves will usually occur at the mouth of the river that condition is wide and shallow then narrowed after being in the river. The shape of the mouth of the river that closes is like the letter "V" or funnel. Next, it will be supported by a shallow river conditions due to natural erosion. The meeting of the two currents of the river and the sea at this location would cause Bono Wave. According to the term of local people, the bono waves in Kampar River are the male bono, while the female bono are in Rokan River area, close to Bagansiapiapi town. Bono in Kuala Kampar totaled seven tails, which the shape is actually like a horse that is usually called as the main bono. When the low tide, bono will go to Rokan River to meet the female bono. 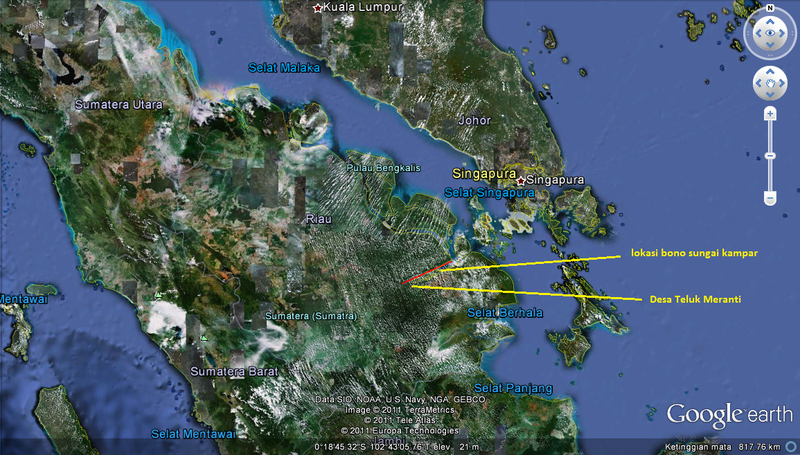 Then, they relax heading into the Malacca Strait. That is why when the dark of moon and the low tide, bono is not found in the two rivers. If the moon will rise, bono will back to their place, and then play goes up in Kampar River and Rokan River. Getting the full moon in the sky, bono will be more enjoying to go and back in both rivers. 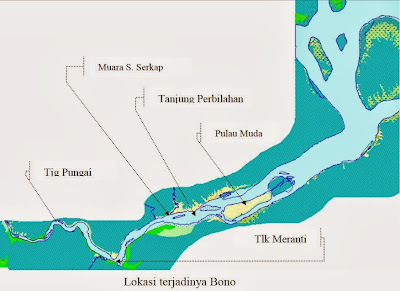 Whatever the origin of the wave bono process in Kampar River, this time, the tourist of male bono has become one of the pleasure tourist icon in Riau. River civilizations that arose in the outskirts of Kampar River have made this tour to be more special in the eyes of surfers of the world level. Almost every year in the month of bono occur, this tourist spot always become a favorite destination of surfers. They recognized the sensation in racing with high waves in the middle of the river. It is different with the waves of the sea water that usually have found in other Indonesian water region. Enjoy Bono Waves Kampar River!